Brian Wilson brings his pet sounds to Hammerstein Ballroom, plugging his new CD That Lucky Old Sun. 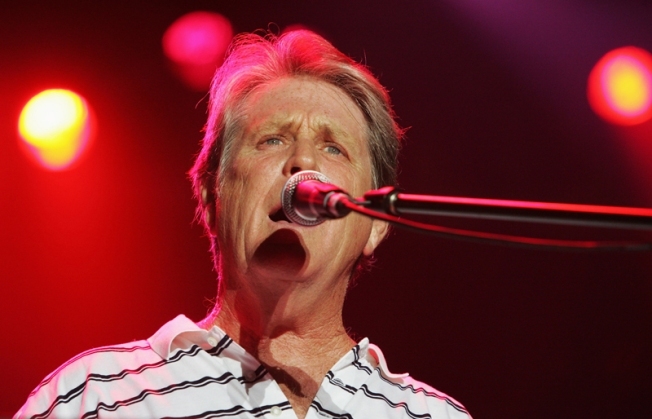 SURF AND TURF: Beach Boys legend and notoriously cuckoo public figure Brian Wilson will bring his lifetime of material - including a lot of great stuff from his new, throwbacky CD That Lucky Old Sun - to Hammerstein Ballroom. Should be fun fun fun 'til… you know. 7:30PM. JAVANT-GARDE: That chipper employee who sells you your latte every morning is so much more than his green apron. Tonight, Starbucks baristas from all over town descend on the Metropolitan Pavilion to exhibit and perform their works of art at Avant-Grande 2008, a shebang organized by the L Magazine and Nuyorican Poets Café. 7PM. ROCK THE BOAT: Explosions! Crashes! Choppy waves! Hop to Staten Island's Historic Richmond Town for a night of spooky, thrilling tales about the 108-year history of the Staten Island Ferry. 7:30PM.